Anyone living in Buenos Aires is going to want to take at least a couple of trips inside Argentina during their stay and will want them to be cheap. The two big destinations are of course Iguazú Falls in the north of the country, and Patagonia in the south – towns like El Calafate, Bariloche, Ushuaia and Puerto Madryn. These places are absolutely unmissable. Argentina is a big country though, so how are you going to get there? Bus? That might work if you have: a) a penchant for suffering; b) a healthy supply of Valium, and c) an entire day (or more) to waste, but otherwise it’s a terrible option. Puerto Iguazú is a 17 hour journey from Buenos Aires by bus, Bariloche is 19 hours, and Ushuaia? You’ll need to block out a lazy 50 hours in your diary for that one. Let’s face it, you’re flying. In Argentina you have two choices for internal flights: Aerolíneas Argentinas and LanChile. * Buenos Aires to Ushuaia, return, cheapest available fare, with taxes. As a non-resident: US$ 355.95. * Buenos Aires to Iguazú, return, cheapest available fare, with taxes. * Buenos Aires to El Calafate, return, cheapest available fare, with taxes. As you can see, there’s almost a 50% difference in the prices. Not insignificant when you’re a poor, struggling expat trying to see more of this beautiful country for cheap. 1. Book flights through LanChile (www.lan.com), not Aerolíneas Argentinas. With Aerolíneas you have to enter your DNI number during the online booking process, so that’s no good. 2. At the opening screen at www.lan.com, select Argentina as your country of residence. If you’ve used www.lan.com before then you might not see the opening page when you browse to that address. In that case make sure that the site says “Argentina > Versión” in the top-right corner of the page. If it doesn’t, click the word “Version” and select Argentina. 3. Go through and book your tickets as normal. You’ll get the cheaper price. 4. Pack ONLY HAND LUGGAGE for your trip. This is very important and non-negotiable. Guys, you really don’t need those gigantic hiking boots. Ladies, ditch the hairdryers. 5. Two days before you’re due to fly you’ll receive an email from LanChile telling you that web check-in for the flight is now open. You want to do this, so don’t put it off! You have until 3 hours before your departure time to check-in online and print your boarding passes. 6. If you forget to check-in online, you might be able to use the check-in terminals at Aeroparque Jorge Newbery instead (pray they’re working!). As you may have guessed, the idea is to avoid the check-in desks at all costs, as that’s where they check for your DNI. 7. Go through security flashing your self-printed boarding pass, go to your departure lounge, board the plane, and voilà! You’re in the air for half the price. 8. Don’t forget to do a web check-in for your return flight as well. To be honest this isn’t as important, as at the smaller airports (such as the one at Puerto Iguazú) the check-in staff don’t seem to be all that bothered with checking for DNIs. Does this really work? Yes! My girlfriend and I, and my girlfriend and her Mom have both tried this and it works without a hitch. After the check-in process there’s no-one else at the airport who cares what sort of fare you paid, so as long as you can avoid the check-in counters you’re golden. Once, when we were working this out, we bought the resident tickets but then checked in at the check-in counter (we had hold luggage) and were asked for our DNIs. We did the “dumb tourist” routine (not that I think it actually mattered) and all that happened was that we were sent over to the LanChile ticket counter (immediately opposite the check-in desks) to pay the difference between the resident and non-resident fares. In other words, we ended up paying only what we would’ve had to anyway. No big deal. IMPORTANT: These fares are only available to RESIDENTS of Argentina, in accordance with article four of Resolution 35/2002 by the Ministry of Production’s Secretary of Transportation. In the event that a passenger is not a resident, he or she can purchase tickets at some of our international sites. When boarding, the passenger will be asked to provide documentation confirming his or her residency. A passenger with a ticket for this class will not be boarded if he or she fails to provide said documentation. What this says is all true, but “will not be boarded” really just means “will have to pay to upgrade their ticket to the non-resident rate,” so don’t think you’ll get deported or anything. Happy flying! or… Happy flying for cheap! Just got back from Argentina and flew LAN chile domestically to Mendoza & Iguazu. This does not work anymore as they ask for your passport and ticket at many points in the journey. Plus you can’t book the tickets without a DNI. Hi everyone! Did anyone try out this trick recently? I want to book a cheap flight to El Calafate from Buenos Aires and but I am a bit anxious if this trick really works still! Anyone what to share their experiences? It seems on the website you need to now enter your DNI? Can anyone confirm whether they´ve been able to do this recently? 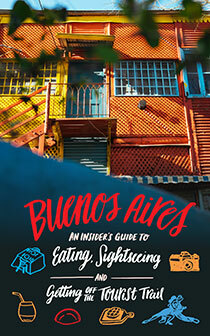 Looking to fly to Iguazu in a week or so and very keen on taking advantage of this hack! – booked online – got denied at offices since the rate was local. – I have friends that tried to use Pago Facil to pay and that did not work either. Not only does the hack not work anymore, prices that their reps give you on the phone or that you get online are never honored (and they say this ont he site). The big airlines here don’t value foreign travellers. It’s too bad. They may be missing more business and certainly better international reputations for their brands (especially with social media now). Could someone else confirm this please ? I’m desperate, our 4 short one-way domestic flights (BA-Iguazu-Salta-Mendoza-BA for 685€pp) are almost more expensive than our Brussels – BA flight (820€pp). This is ridiculous! Maybe I’ll look into taking the bus, for the experience. Anybody has some info if this trick still works? Me and my GF are backpacking down to Argentina & we’re thinking of taking a flight from Buenos Aires to Ushuaia or to El Calafate around beginning of december (let’s say 4th). Any info is very welcome!! Still works at least on Aerolineas Argentinas. Late Oct 2014. Booked online entered random DNI on website. Flights were leaving Iguazu and Salta on Aerolineas Argentinas proper. In both instances we didn’t check baggage and preprinted boarding passes. In both instances we had no issues at all. Important to note they were not scanning our boarding passes at any point. There is a guy that looks at your passport and ticket when entering the departure area but I didn’t see him scan anything. Seems he was just checking if names match. Makes me think perhaps issues could arise when departing more sophisticated airport where they do scan the BP…. BA?? Majority of people check baggage or at least print their BPs at checkin, only few with printed BPs from home. Boarding process was just tearing the BP and boarding. Does not work for LAN anymore. Can work on AR but you have to willfully provide false info. Worked for me with aerolineas argentinas perfectly. Booked the flight online in pesos (select argentina as your country on the home page), they asked for a dni number or passport so I entered my passport number. Checked in online before the flight as suggested and printed my boarding pass , did not carry any checked luggage, only a carry on, and breezed right through. They did not even ask for a passport. 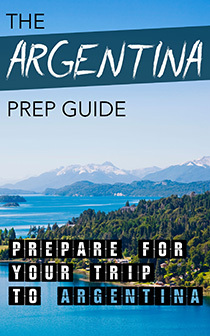 I booked 3 return flights within Argentina on the AR website using Argentine English language. When I got to the payment screen I entered all the relevant info for a UK person and just put in my passport number in the DNI field. Will find out in September and October if it works.